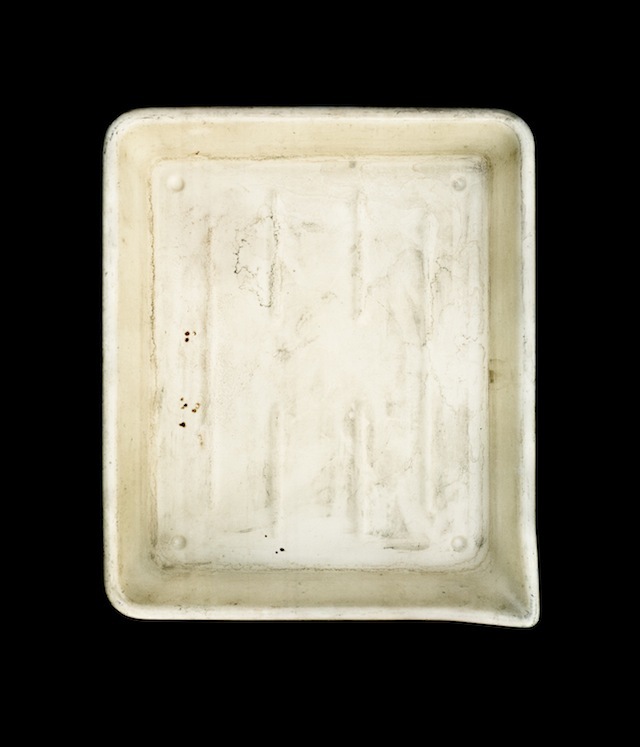 Disposable and deteriorated, the developer trays used by photographers are usually discarded. 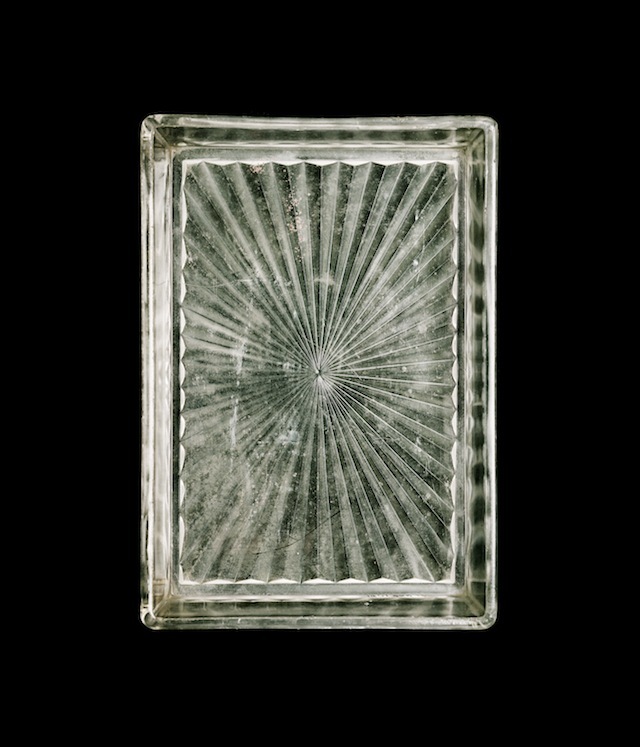 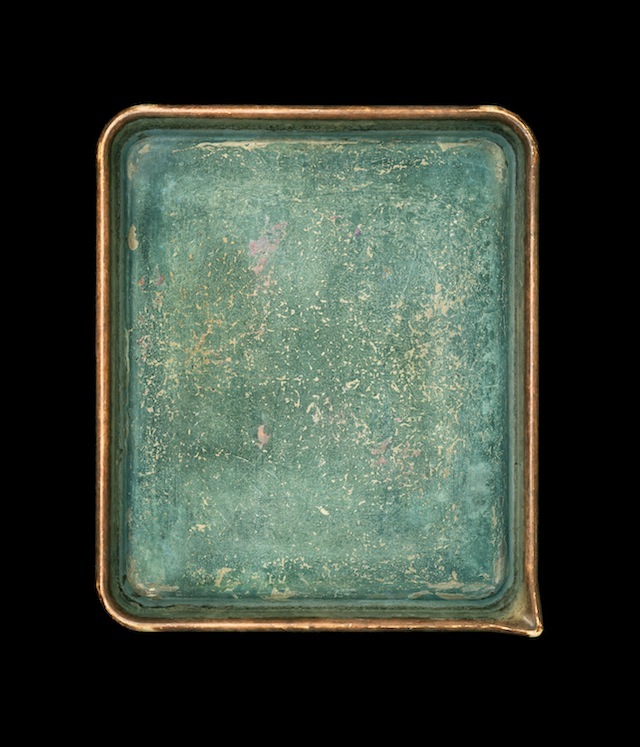 Brooklyn-based photographer and printer John Cyr has discovered the beauty in these battered trays, where so many images first appeared. 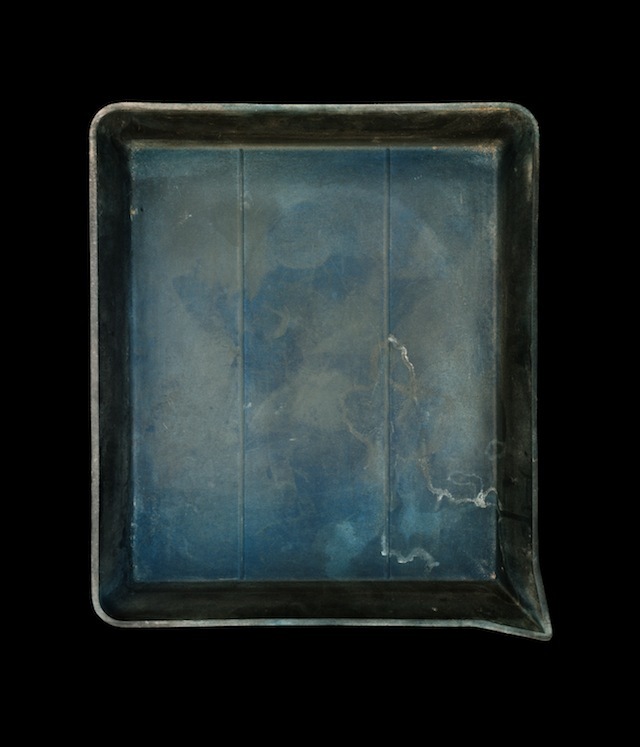 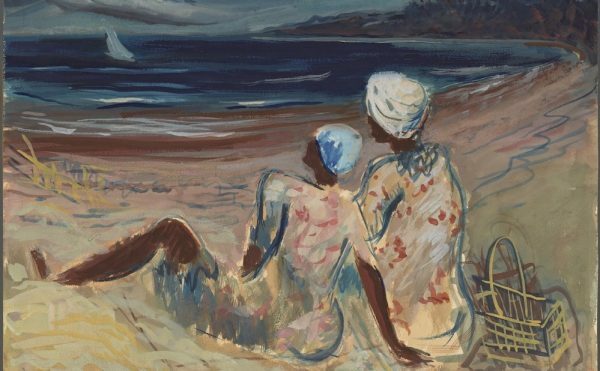 It’s not dissimilar from looking at the painter’s palettes displayed at the Salmagundi Club; you can interpret the traces of each artist like a fingerprint of their work. 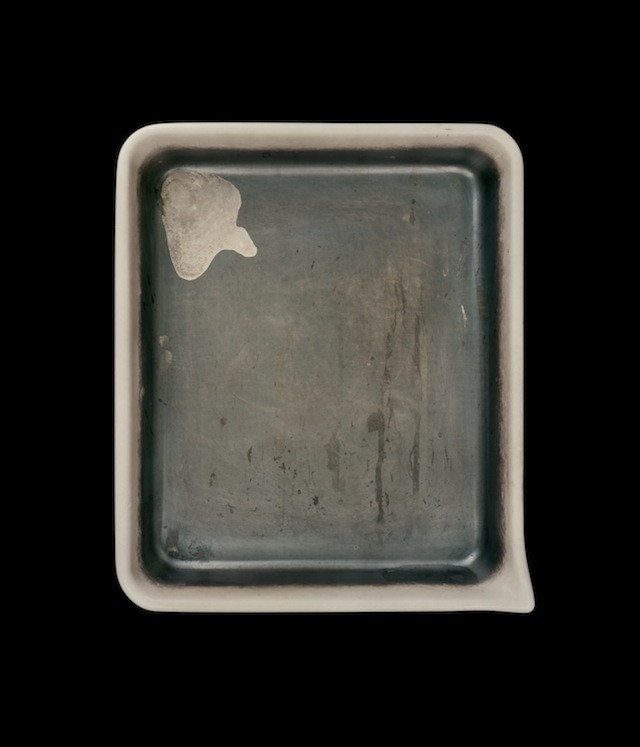 You can see the worn streaks on the Sylvia Plachy’s tray where photograph after richly detailed photograph was swished back and forth, and Bruce Davidson’s is sharply pristine save for the small scratches on the metal. 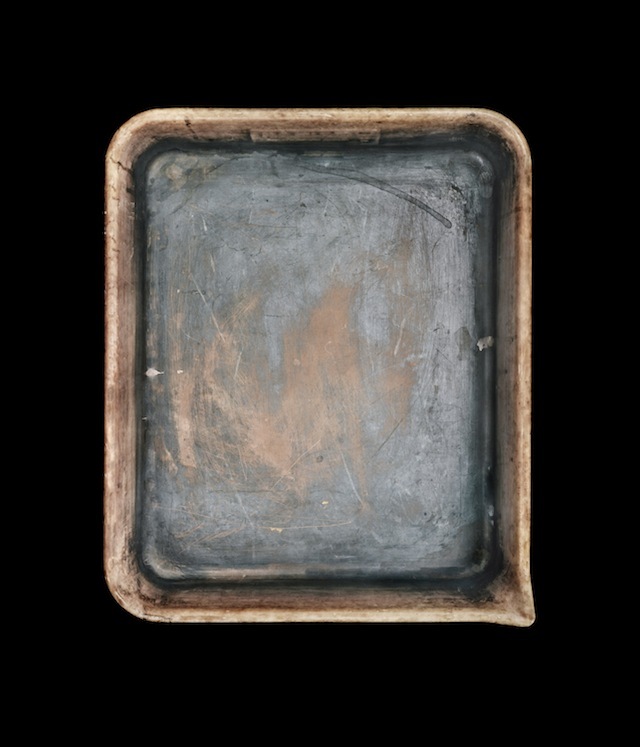 Others show the duration of chemicals, the sedimented wash from Neil Selkirk’s developed portraits not indifferent from the early developer tray photographed from the Smithsonian’s National Museum of American History. 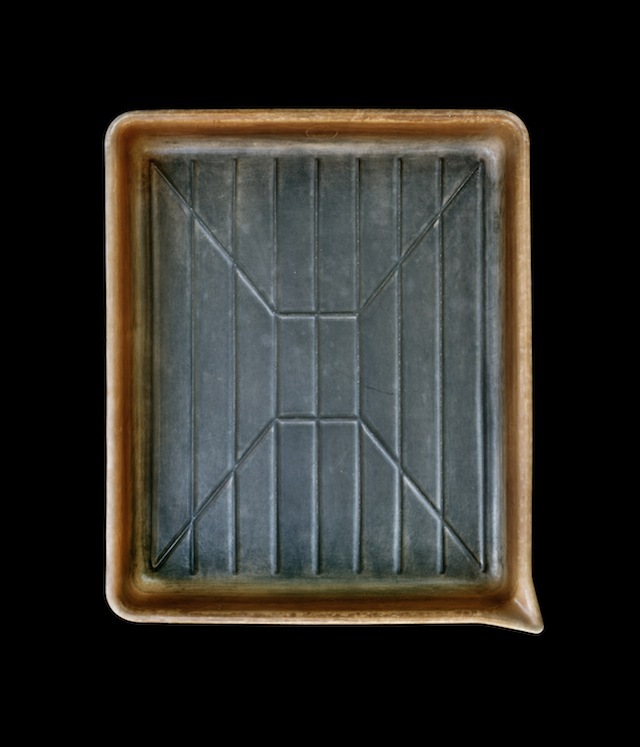 Like any well-loved studio tool, the developer tray builds up its own byproduct portrait of an artist. 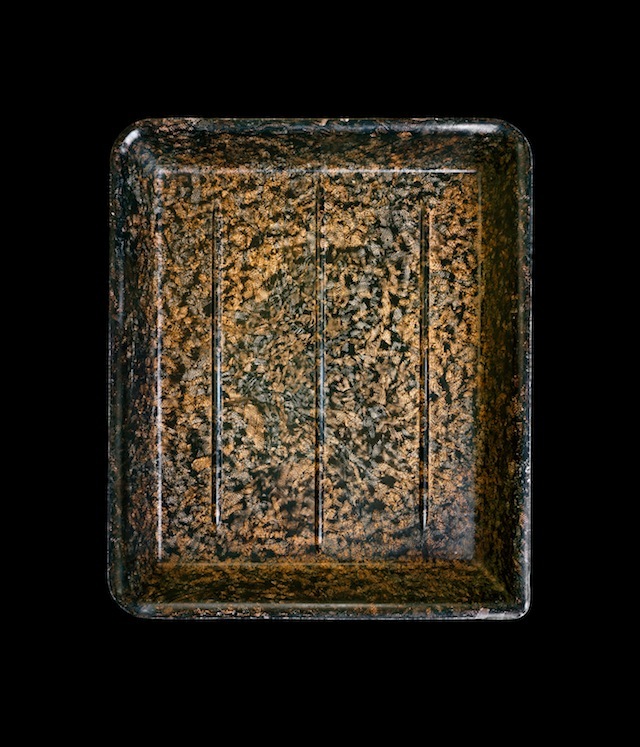 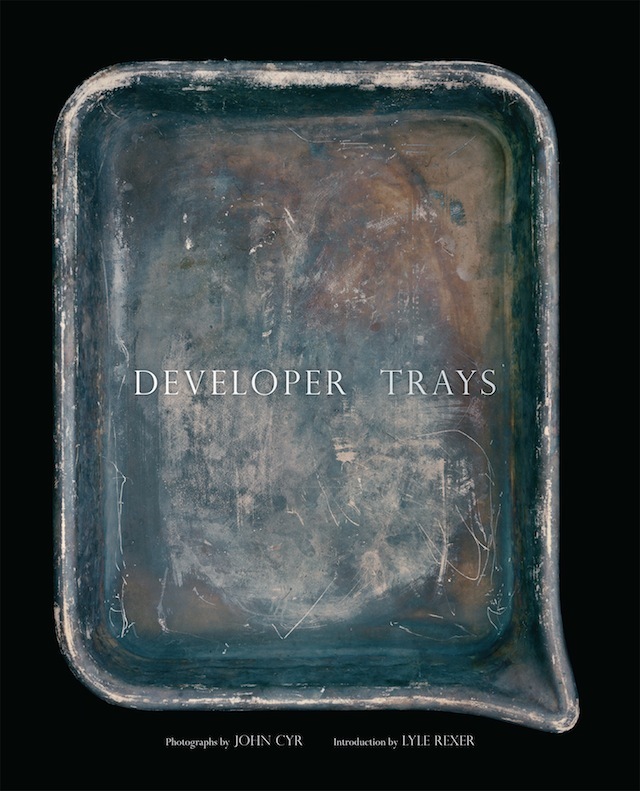 Developer Trays by John Cyr is available from powerHouse Books. 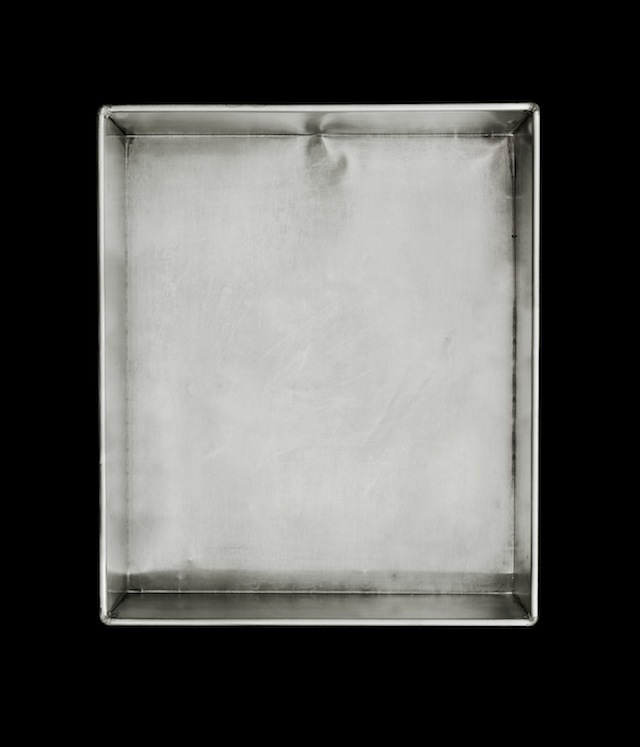 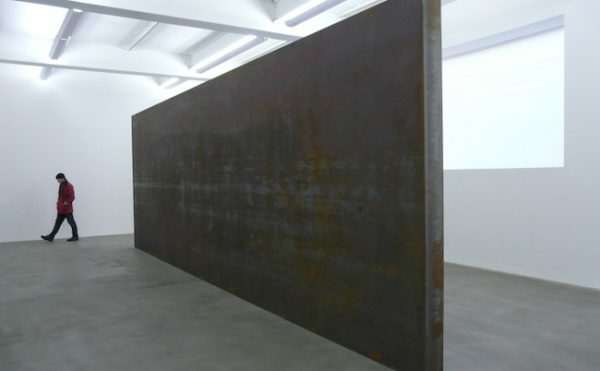 Photographs by Cyr are on view at PowerHouse Arena (37 Main Street, Dumbo, Brooklyn) through April 3.